Such initiative will make tax accounting simpler and clearer, will reduce the amount of time and cost for both business and tax officials. 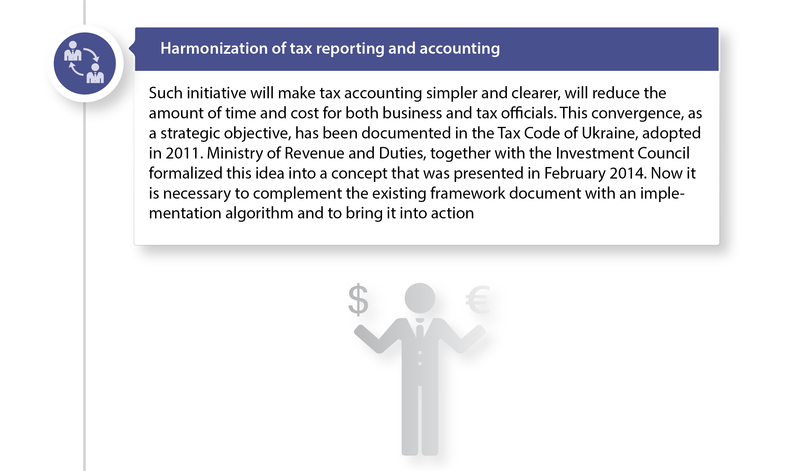 This convergence, as a strategic objective, has been documented in the Tax Code of Ukraine, adopted in 2011. Ministry of Revenue and Duties, together with the Investment Council formalized this idea into a concept that was presented in February 2014. Now it is necessary to complement the existing framework document with an implementation algorithm and to bring it into action.